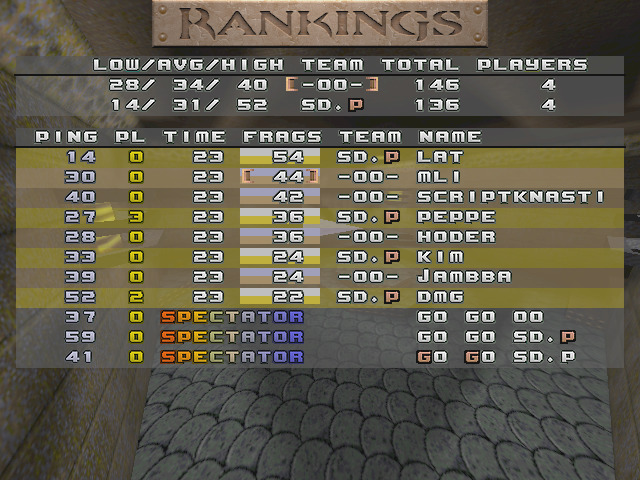 10 frags was also the amount what you got with e1m2's second last pent, Peppe the Quadgod! ...and as we all know, e1m2's second last pent is usually really decisive. 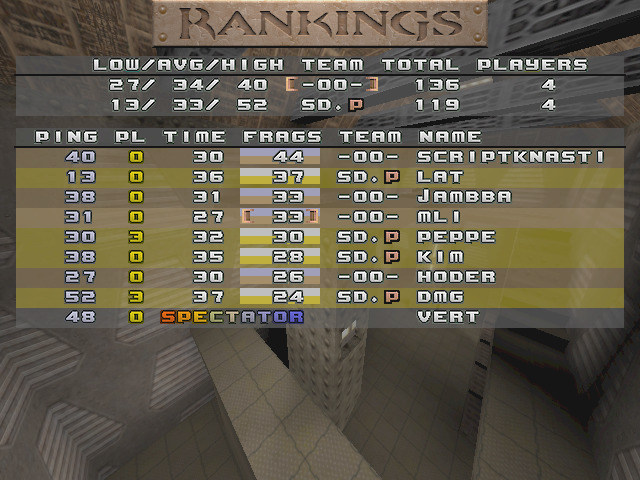 This time Peppe got the pent and made even better pentrun than most ppl can ever pull off in e1m2! very good and tight games! 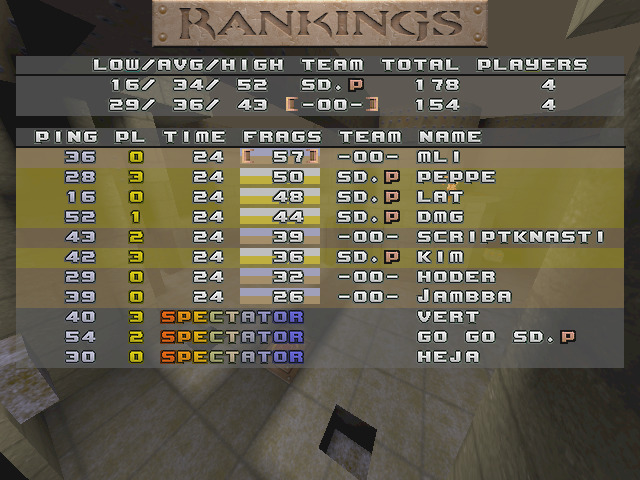 too bad sd.p... but seemed like ggs! Thx for the help sd.p! And thx to anyone who played in div5! Nice games, nice faces! See you in NQR!